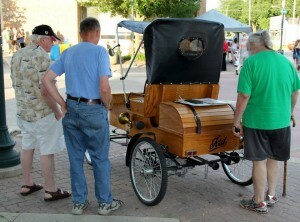 Whether you are a car lover or a people watcher, the Spirit Lake Cruise In in downtown Spirit Lake was the place to be from 6-9 p.m. There were old and new, red and blue! Every imaginable car was available for viewing and people were out in droves! It was the perfect activity for a June Saturday night evening!